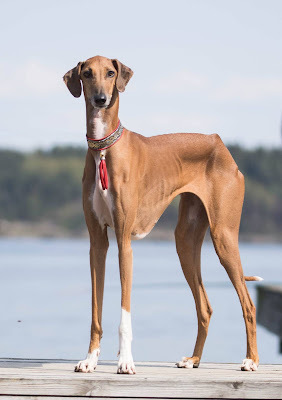 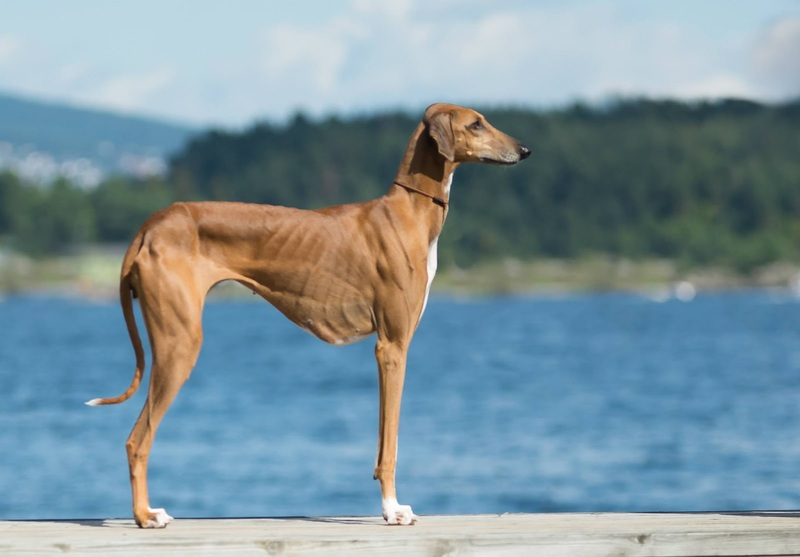 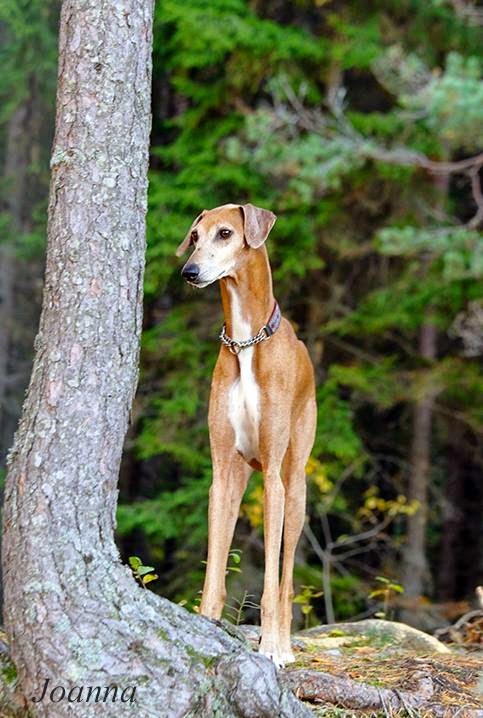 Adiza is expecting, and we hope to welcome the second Azawakh litter in Norway in the end of october! 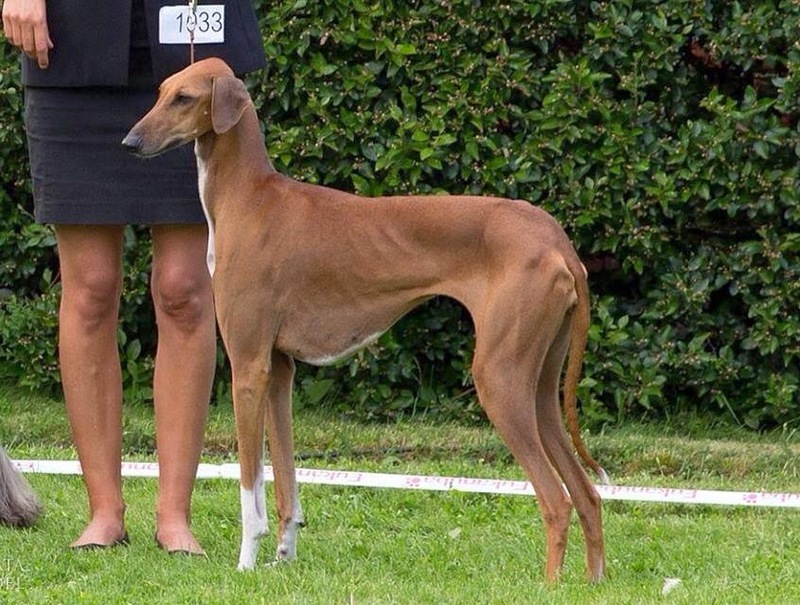 This interesting combination has a low COI of 5 calculated from 10 generations. 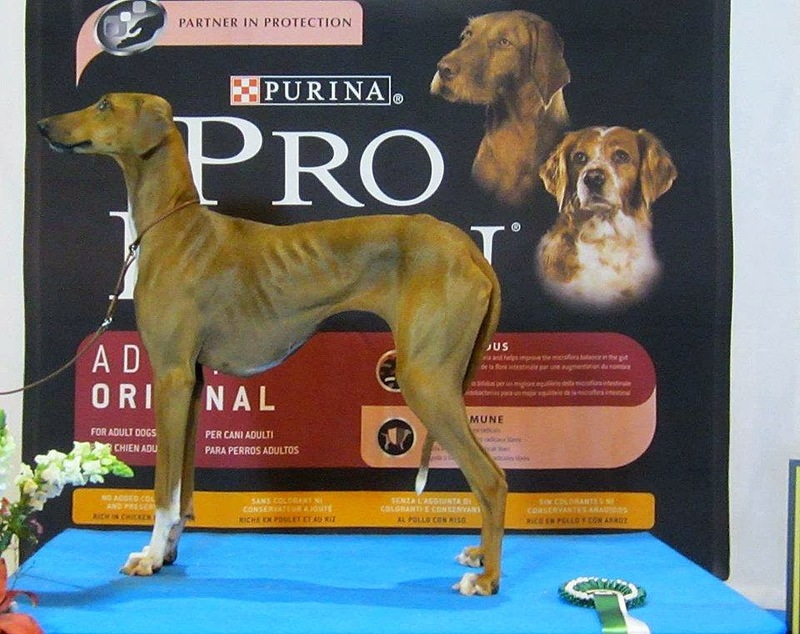 Both Yeki and Adiza tested negative for tgAA. 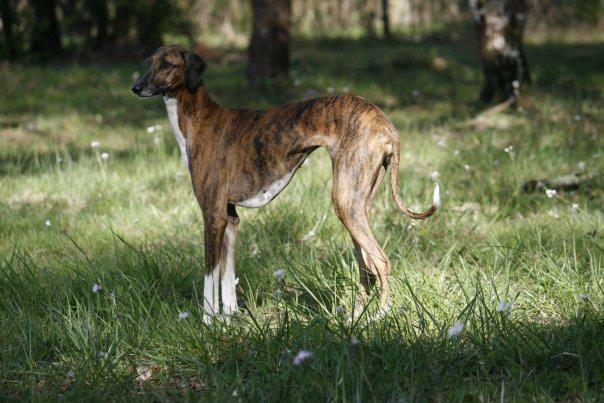 Prospective caretakers are people with a genuine interest in this special breed. 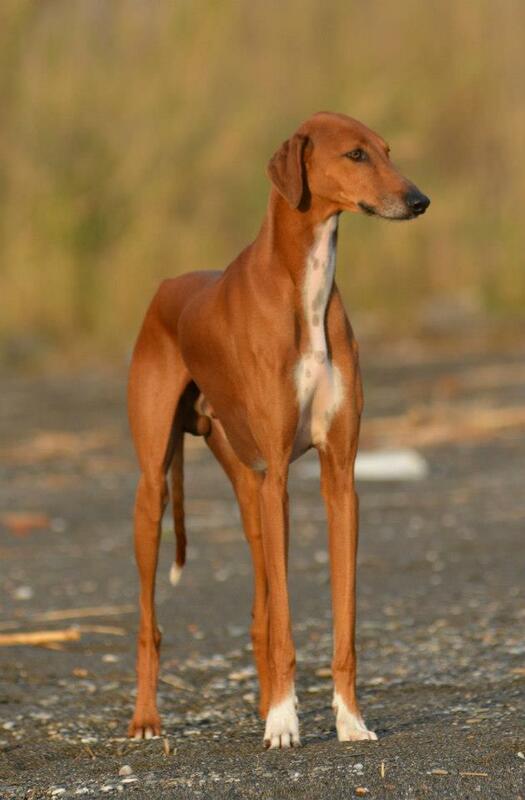 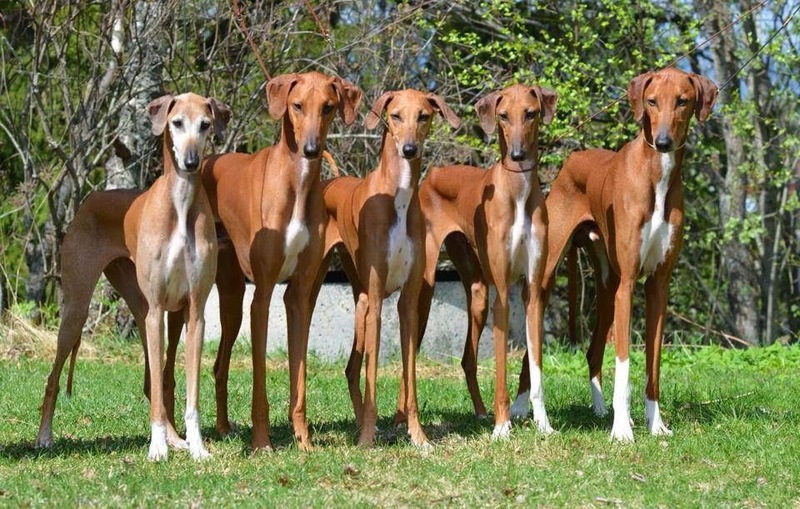 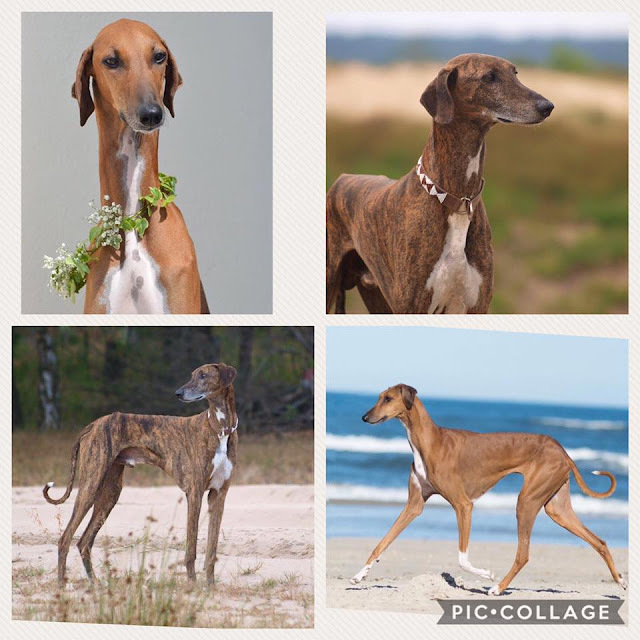 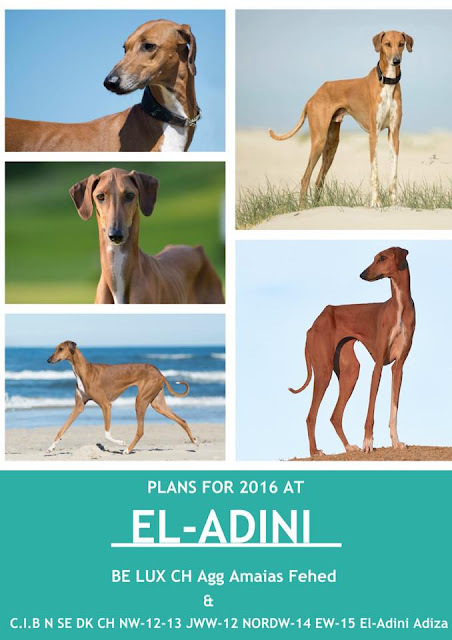 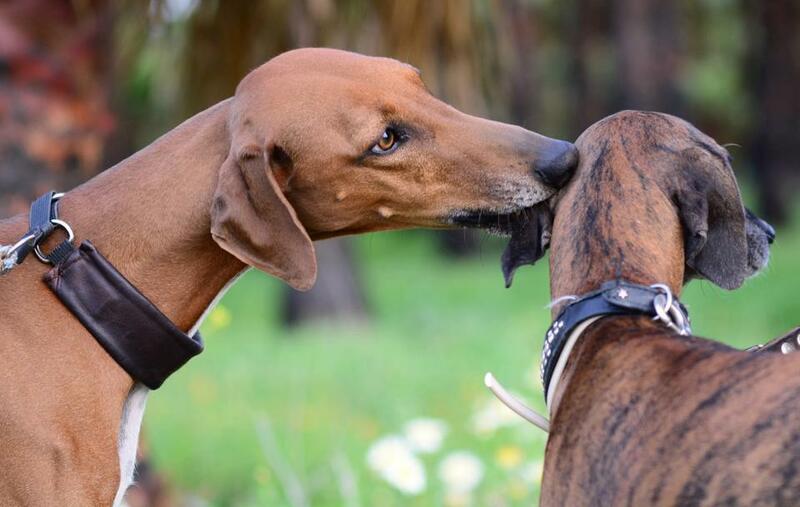 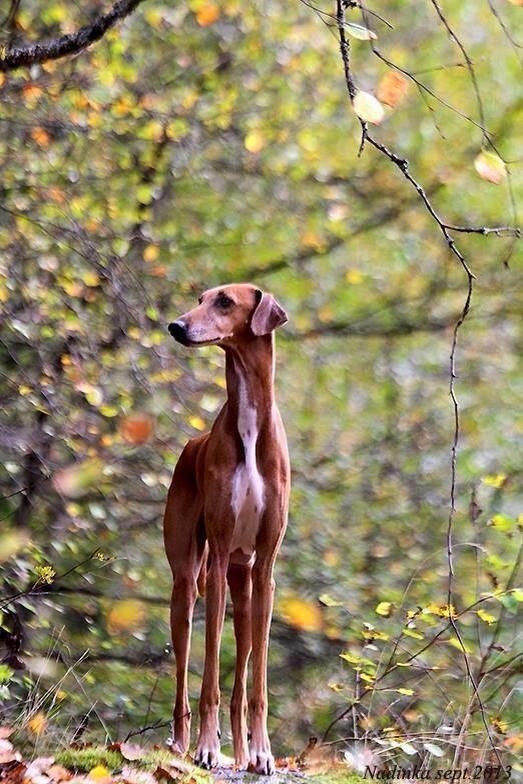 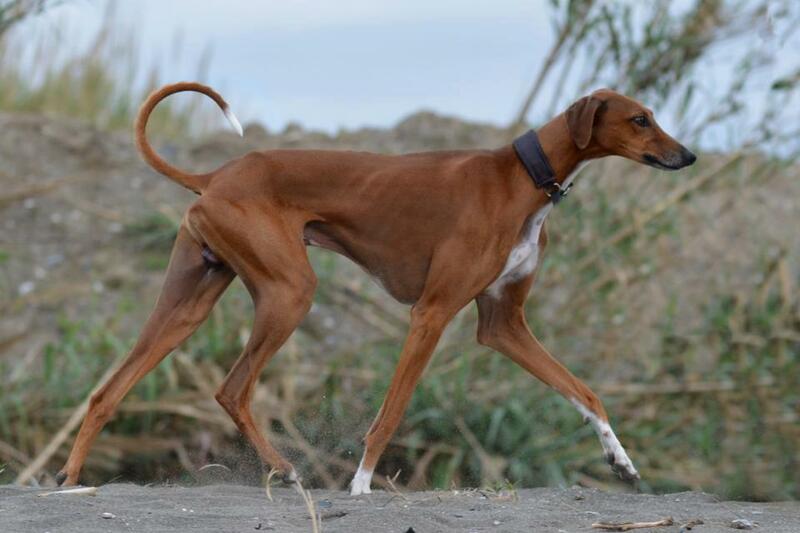 We hope for a litter from C.I.B El-Adini Adiza and Multi CH Tombouktou's Yeki in the end of October. 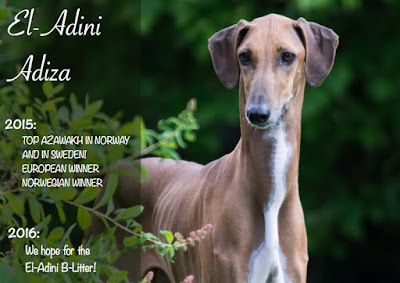 El-Adini Adiza Top Azawakh NORWAY and SWEDEN 2015! 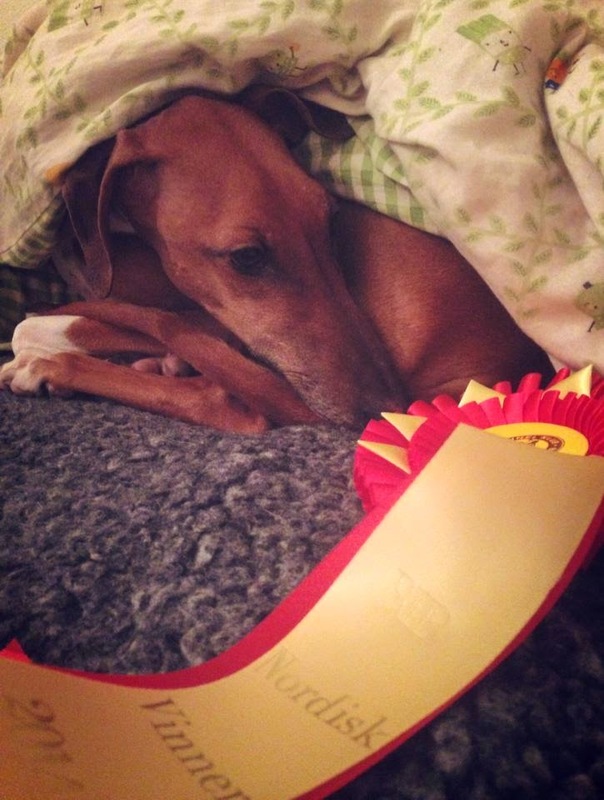 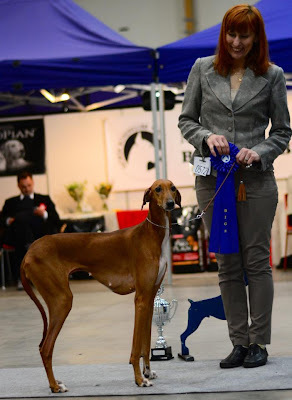 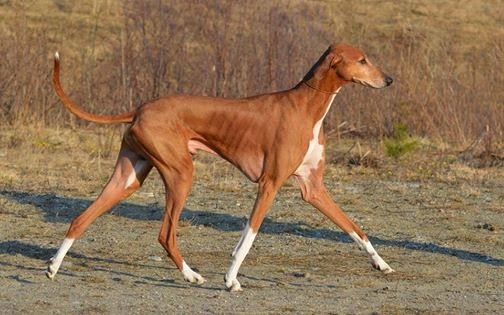 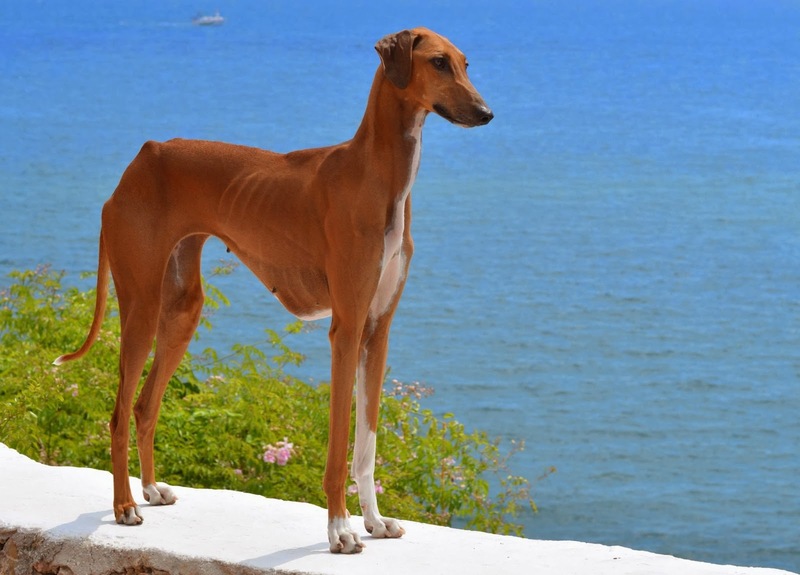 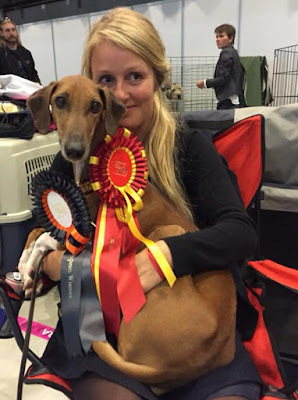 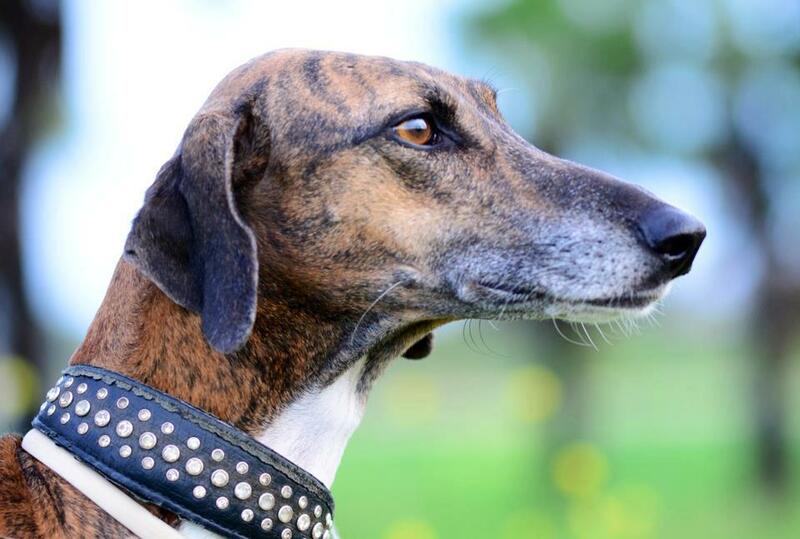 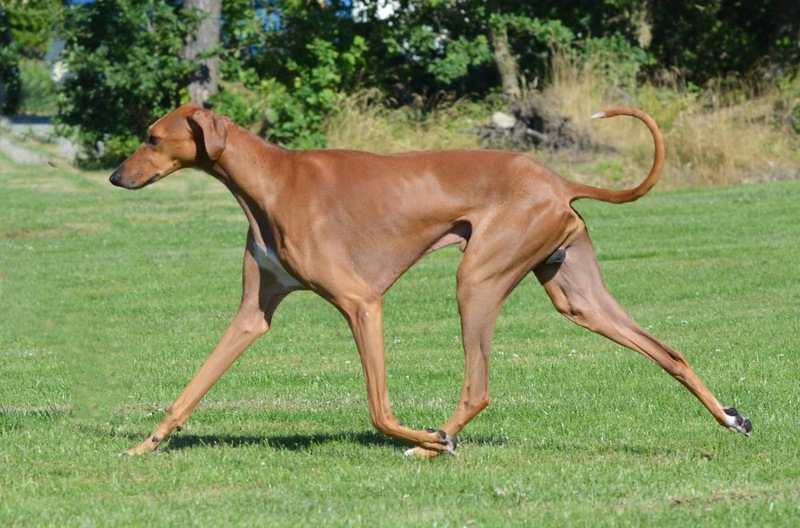 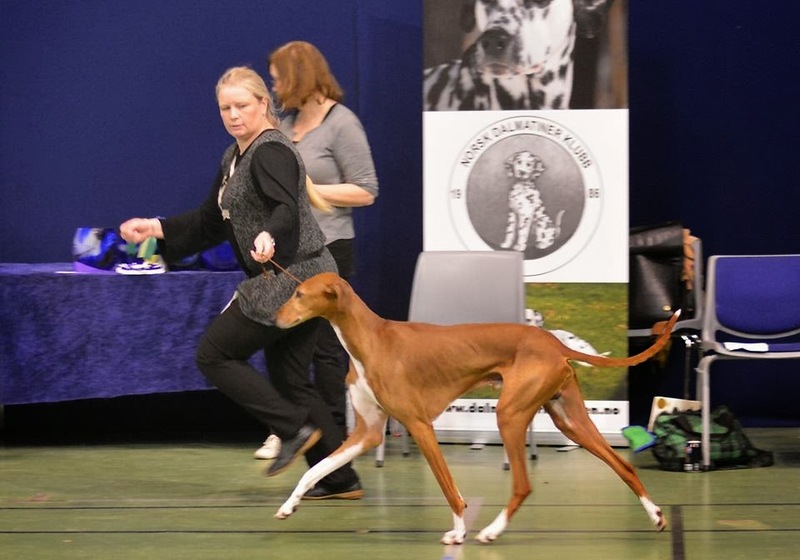 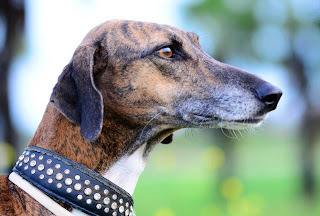 Adiza was BOB and European Winner at European Dog Show 2015! 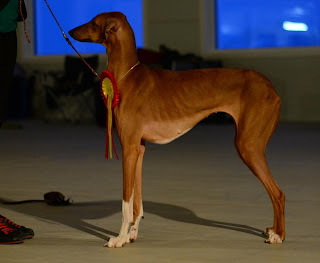 El-Adini Abadi was BOB, El-Adini Adiza was BOS under Frank Sabella, US at MYDOG1. 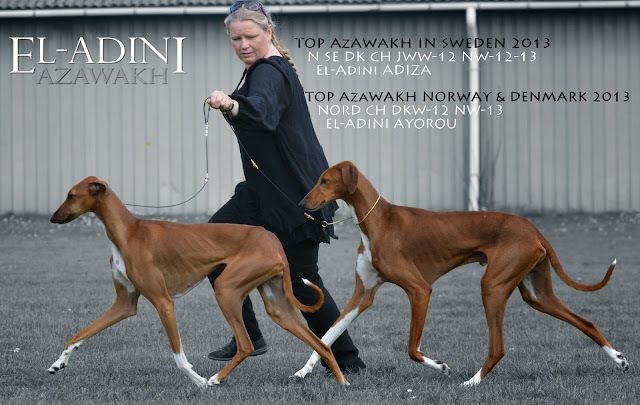 At MYDOG-2 El-Adini Adiza was BOB under Karl-Henrik Johannson. 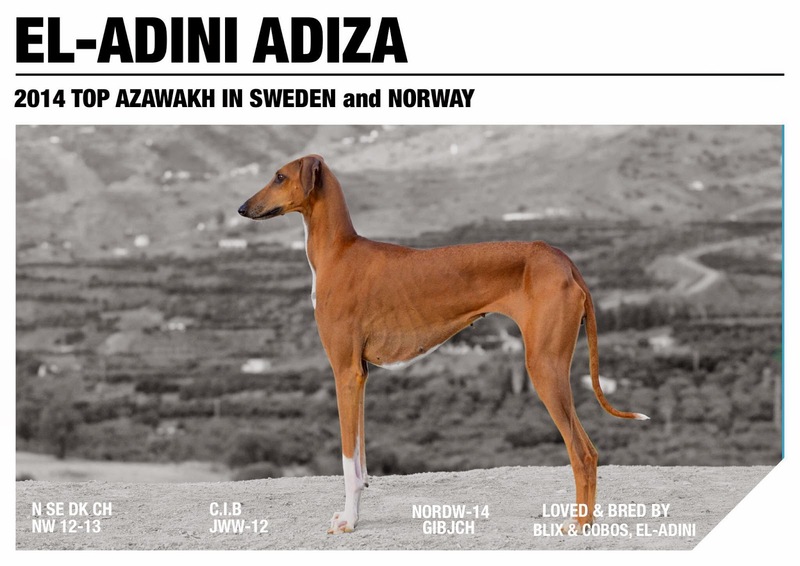 El-Adini Adiza TOP AZAWAKH NORWAY and SWEDEN 2014! 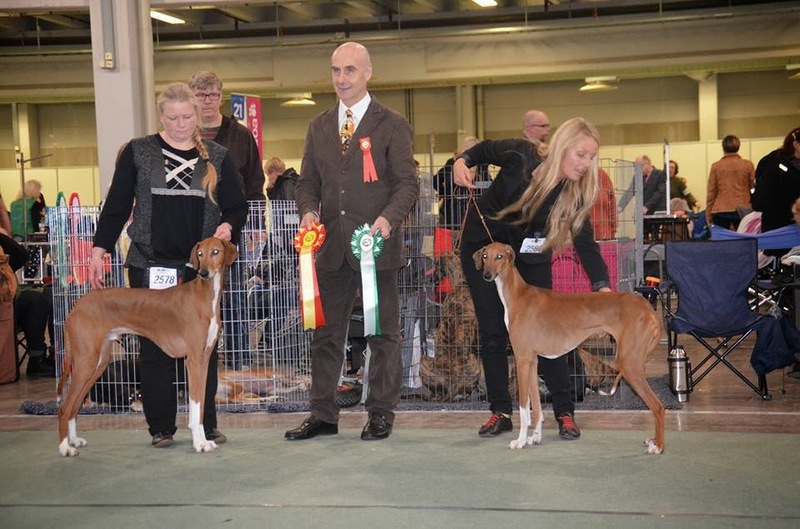 El-Adini Adiza was BOB Nordic Winner-14 under Petter Fodstad, Norway, 8 azawakhs were entered. El-Adini Adina BOB, Copenhagen Winner, NEW DK Champion! 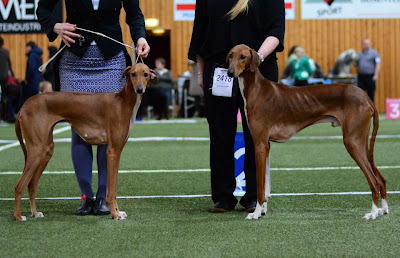 Adiza was BOB and Ayorou BOS under Arne Foss at Oslo Int. 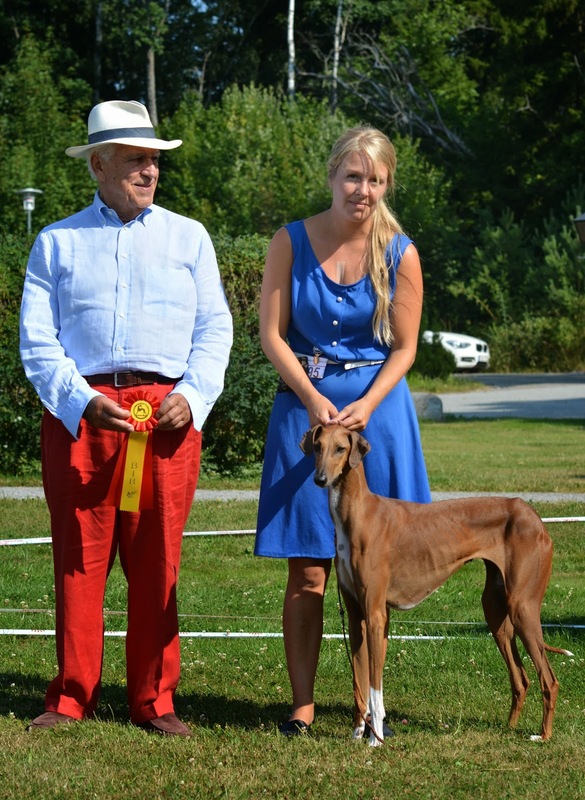 We had a nice weekend with brother Ayorou and Hanne! 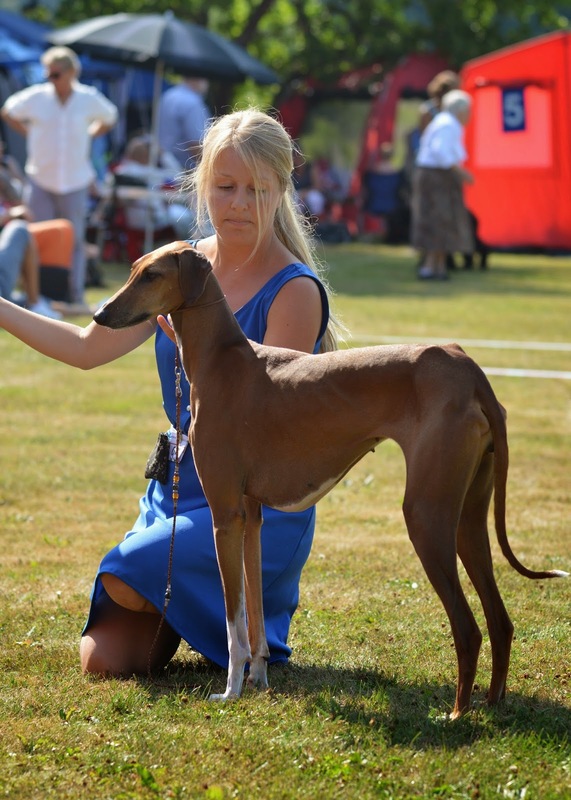 Adiza BOB at Skokloster Summer Show! 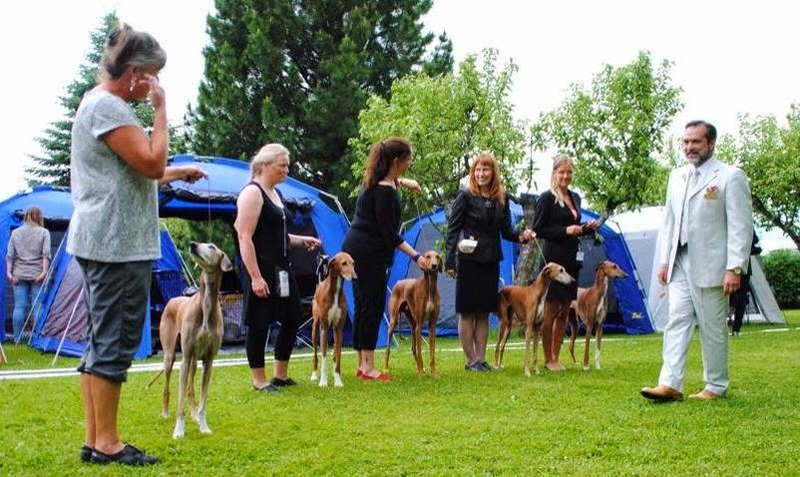 We had a wonderful day at Skokloster Summer Show with Azawakh friends. 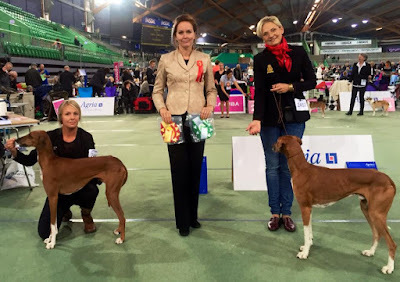 Adiza won BOB for Judge Claudio Gulliano. 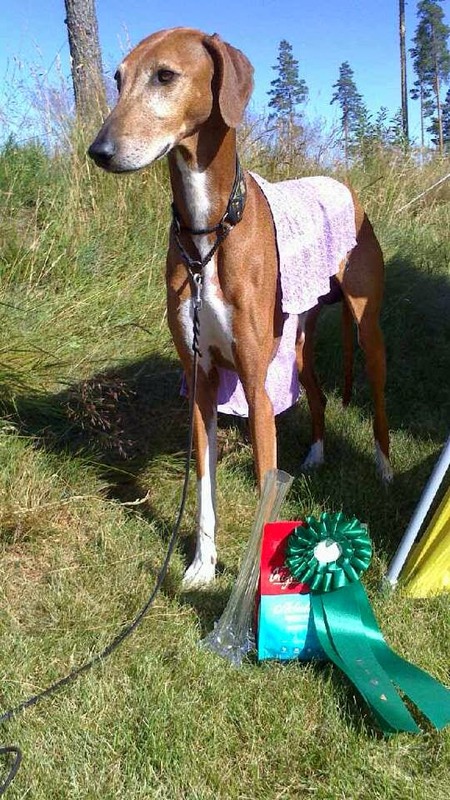 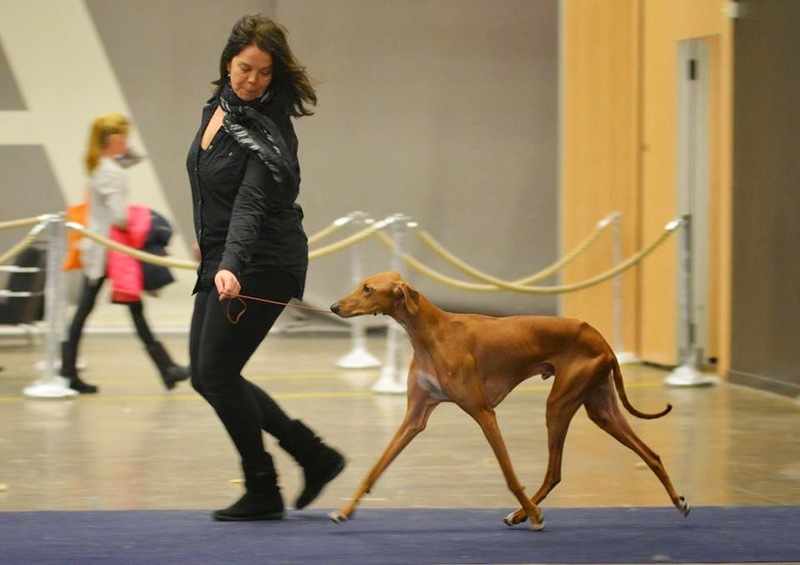 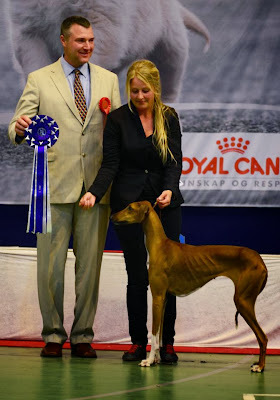 Bani´s granddaughter Oska Kel Lusitania Soleil won CAC at her first show as junior. 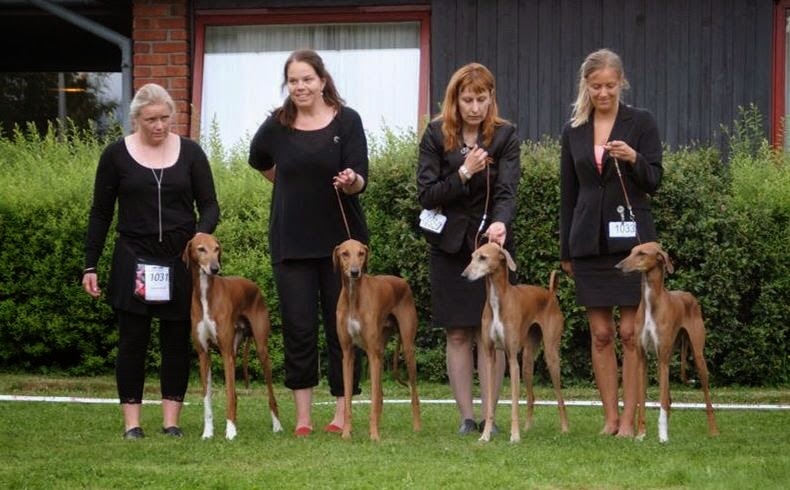 El-Adini Adiza was BOB and El-Adini Abadi BOS, El-Adini Akiki was BM-2 at Tvååker INT under judge Gabriella Veiga. El-Adini Adiza was BOB & BOG-4 under Branislav Rajic Bane at Letohallen, Norway. El-Adini Akiki won BOB and the last CACIB for his International Champion title in Santarem, Portugal. 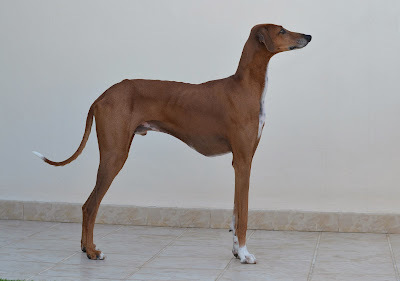 El-Adini Adina was BOB under Gabriela Veiga and was BOG-4 under Jose Homem de Mello. El-Adini Ayorou was BOG 3 under Benny Blid Von Schedwin at Letohallen. 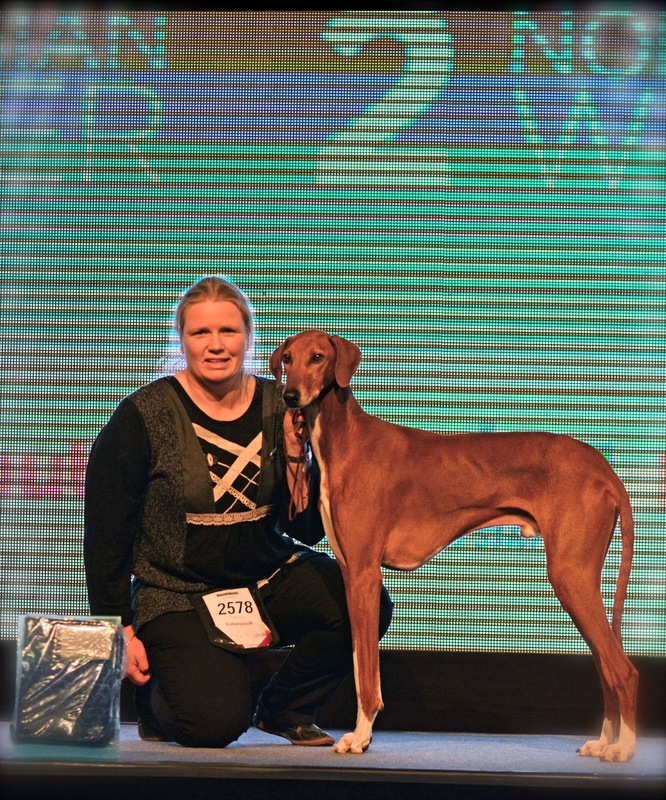 El-Adini Ayorou was runner-up in group under judge Karl-Erik Johannson. 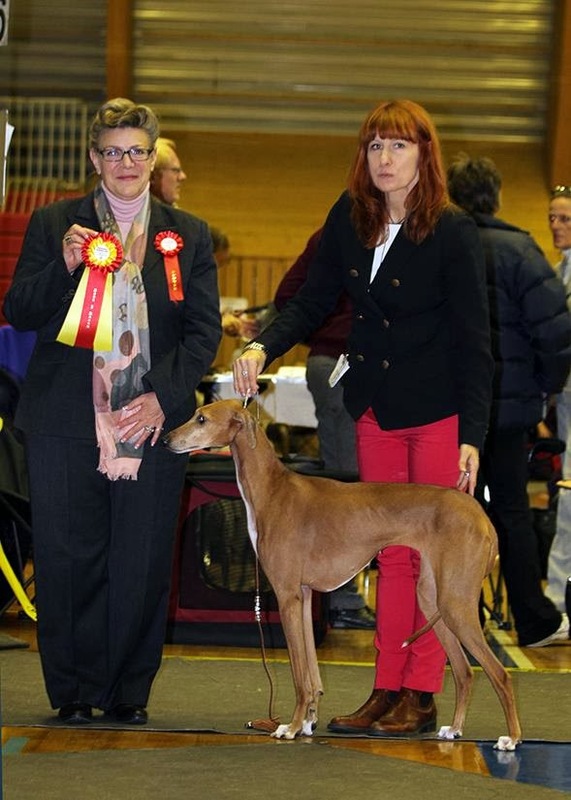 El-Adini Adiza was BOG-3 under G.Tesics, Hungary. Hopefully puppies will be born in June at Kennel Ak Ilaman. Ayorou BOB, CACIB & Adini BOS, CACIB at NKK Kristiansand! 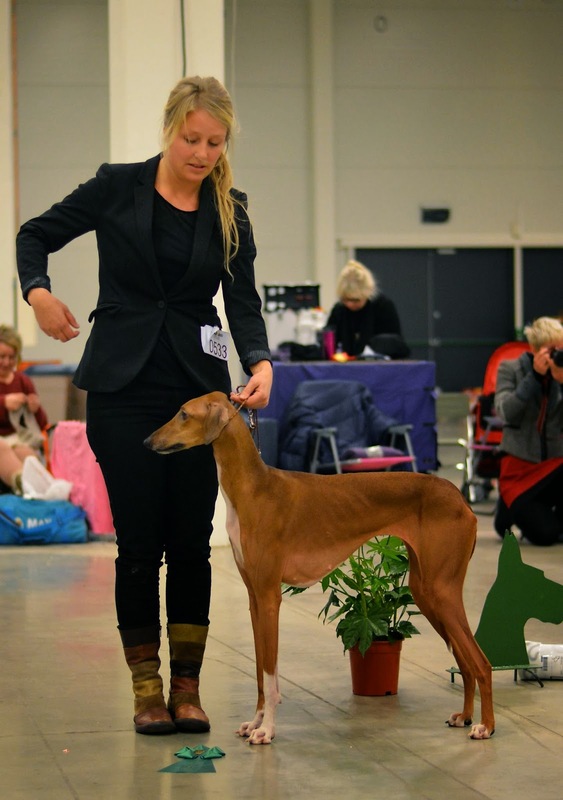 Ahadi was Runner-up in Group X in Portugal under Hans Lehtinen. Adina was runner-up in group 10 for Saija Juutilainen. 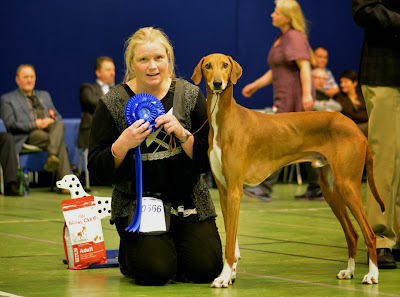 26th of January Adiza was BOB for jugde Mahönen at Hellerrudsletta, Oslo, Norway.